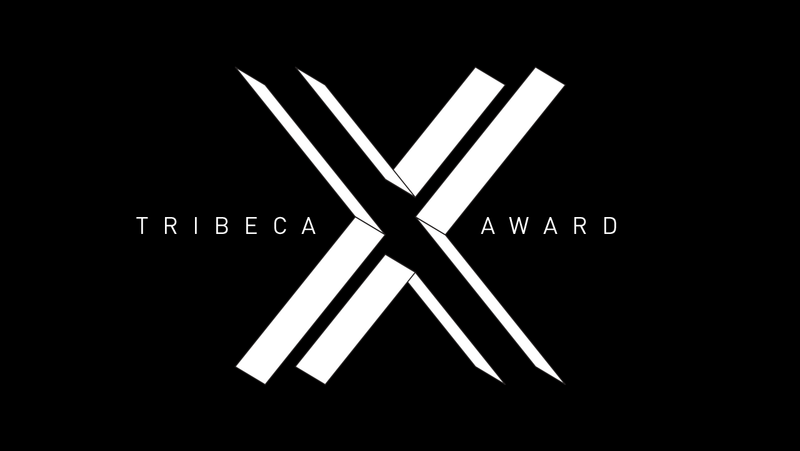 The Tribeca Film Festival, presented by AT&T, and Atlantic Re:think are proud to announce the finalists for the second annual Tribeca X Award. Ten finalists, 9 short films and 1 Virtual Reality project, were selected from a field of 600 entries that represent the best in storytelling at the intersection of advertising and entertainment from the past year. The award highlights excellence in creative, original and authentic storytelling that is sponsored or underwritten by a brand. The winner will be announced on Monday, April 24 in New York. The winner will be chosen by a jury that includes Joanna Coles, CCO at Hearst; Jae Goodman, CCO and Co-Head of Marketing of CAA; Tim & Eric (Comedy Duo) and Directors at PRETTYBIRD, Founders of Abso Lutely; Jenna Lyons, J.Crew; Eli Pariser, CEO of Upworthy; and a proprietary A.I. solution developed by Celtra, providing quantitative creative analysis based on performance data and insights from hundreds-of-thousands of video advertising campaigns powered by Celtra’s creative management platform. BeefeaterXO is an interactive experience inside the creative mind of the 3-Michelin-starred chef Dabiz Muñoz, where the viewer travels through 4 different cities in order to find the secrets behind the most avant-garde cocktails ever made. Deaf people are anything but disabled, and this film featuring the real story of deaf dancer Chris Fonseca proves it. Born profoundly deaf, Chris challenges the perceptions of disability as a social barrier by teaching his deaf students how to express themselves on the dance floor, inspiring self-confidence within them and pure awe in all of us. BMW Films were a groundbreaking series of eight short, online films released in 2001, starring Clive Owen as an enigmatic driver for hire who used a BMW for his thrilling exploits. To celebrate the film’s 15th anniversary, “The Escape” is a modern homage to the originals, with Clive Owen reprising his role as the driver and also starring Jon Bernthal and Dakota Fanning. Five films by Five Filmmakers each exploring and celebrating Seattle through the lens of one of the five senses. Each film was conceived and directed by a celebrated independent filmmaker. The films cross genres including documentary, experimental, animation and scripted. Yassin Terou fled Syria with a suitcase and a few hundred dollars. He knew no one in Knoxville, Tennessee, and he spoke no English, but he went there to rebuild his life and pursue his dream of perfect falafel anyway. Every business starts with a dream, and Square exists to serve them—every kind of dream. “Yassin Falafel” is Square's first short film chronicling their remarkable sellers and their tireless pursuit of their dreams. JellyWolf is a feminine-spiritual coming of age story told through notes of scent. CHANEL N°5 L’Eau speaks to a new woman, who are often portrayed as beautiful creatures whose only desire is to be desired. This film is to inspire young women to remember their voice and to see each other. Jocelyn Cooper left the top of music industry to start a movement. She is a partner in AFROPUNK, a festival that unifies people through music, film, skate, and art. She inspires perseverance and empowers an underserved population, and that's what makes her of a true maven. With social media ever more present in our lives, blurring the barriers between ordinary and instafamous, Kenzo invited writer and Director Carrie Brownstein to take a look at the invisible digital walls that separate us from our favorite stars, and the curious conceit of a dream come true. As the first Bangladeshi to scale the Seven Summits, Wasfia Nazreen doesn't just climb for the thrill; she climbs for the women of her country. Lyrical and poetic, this short documentary explores what it means to pursue the unknown. Refusing to act his age has worked out well for John Shocklee. The 52-year-old has devoted his life to doing what he loves. Powered by old school hip hop and fresh powder, Shocklee makes turns down untamed slopes with the freedom of a man half his age. Austin, TX has a rich artistic history sometimes not seen in a sea of new residents. Neon artist Evan Voyles represents the inventive spirit that makes Austin a creative haven, and his work continues to light up landmarks across our capital city. Support 160 years of independent journalism.